Search engine optimisation is one of the best procedures and practices which are bound for change with changing times. In order to succeed in this competitive world, it is imperative for business owners to perform a periodic assessment of SEO and make adjustments in line with the expectations of the market. If your website is not properly optimised then it is likely to miss out on internet traffic from prominent search engines and also can lead to possible customer loss. In order to ensure that your website is having the required SEO, you must carry out an SEO audit of your website at least once in six months. The support of SEO audit services must be gained from professional SEO agencies Adelaide who can guide you to the best path and make improvements in SEO as required. One of the probable choices is Platinum SEO services who are capable of conducting a thorough audit and generating meaningful results. An important hallmark of a great SEO optimised website is high-quality backlinks. If you are looking to improve your website traffic then you must strategize for better link building and improve search engine optimisation for your website. You can begin an SEO audit by raising questions as below and identify weaknesses in the area that could provide a better opportunity for future website improvements. Check whether your title tags contain relevant SEO keywords. Ensure title tags are not greater than 65 characters. Develop interesting content in Meta description tags and make it appear more appealing. Check if your website page is keyword driven and written naturally. Does your website contain original and high-quality content? Are your website images properly formatted and optimised to improve website quality? Check if your website content has more internal links in your website making it capable of generating all the more traffic. In order to ensure quality SEO, you must avoid the presence of broken outbound links or internal dead pages. It can degrade your website performance and lead to further problems in future. Hence, checking broken links holds an important place in SEO audit and must be duly checked during the whole process. In case you don’t have the required support or don’t understand how to perform repair of broken links then you can take assistance from professional SEO companies in the market. Such companies can guide you in the case of any issue related to SEO optimisation and guide the best way out of it. Examine your link profile and compare it to competitors. Once you have finished with on-site elements, you can check if backlinks are working fine. The quality of links plays a key role in your website performance. You must choose your record in a special manner that includes relevant information such as press release links, social media links etc. Page load time and site speed play a key role of your website SEO credibility. Thus new natural search algorithms must be recorded to find out site speed and check if everything is working appropriately. It holds a crucial place in complete SEO audit and hence must be performed by SEO companies without any failure. 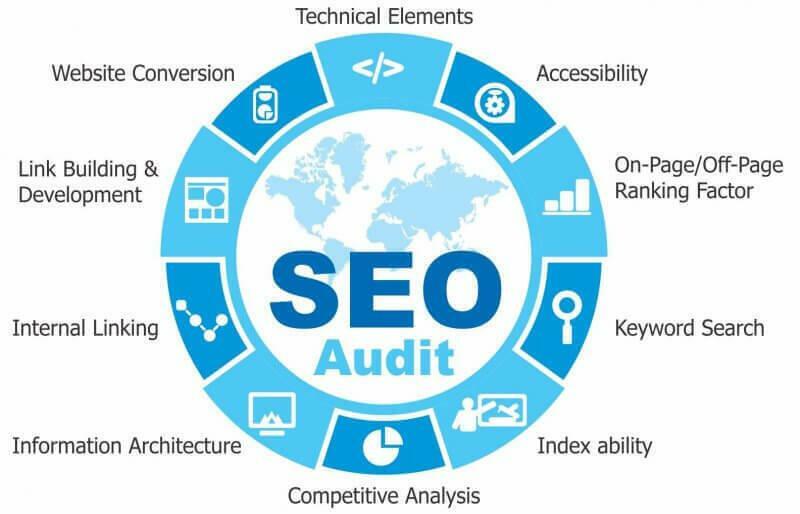 The above steps provide you with a general overview of how to conduct SEO audit. In case you find it difficult to conduct an audit on your own, you can always take the support from SEO agencies, Adelaide. Platinum SEO services can be of immense help to improve SEO, after all during the whole audit process, company and its professional ensure to duly check all the aspects and bring in improvements as and when required.